By PATSY HOLLIS | In 2003, Professor Wong Shiu Hon and his wife Nancy gifted to the people of Tasmania their extraordinary and comprehensive collection of Chinese art objects and antiquities. Some 117 pieces were included in the first gift — there is more to follow. Here is a remarkable span of Chinese culture from thousands of years BC to today: started some 30 years ago (1976). The Wongs moved from Perth to Hong Kong in 1981, when Professor Wong joined the Chinese Department of the University of Hong Kong where he lectured on Chinese literature and history for 18 years. Not surprisingly the Wongs found a great deal to collect in that city, but it’s interesting to see they were able to add to their collection in Australia because of the long association of the Chinese with our country. Luckily for us, the Wongs fell in love with Tasmania and the city of Hobart when they first visited it some two decades before they made this generous gift. As they say, “we fell in love with the temperate temperature, clean air, English ambience, charming architecture and simple life”. 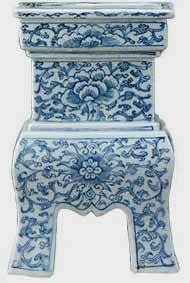 The remarkable thing about the Wongs’ Collection is that it spans almost the entire history of Chinese ceramics (and includes other artifacts in woodwork, stone, bronze and more), from the Neolithic period to today. 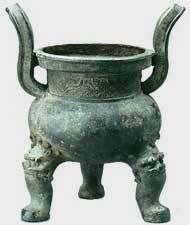 The last date is also noteworthy, because hitherto not many museums have collected much beyond the Qing (Ching) Dynasty, which ended in 1911. 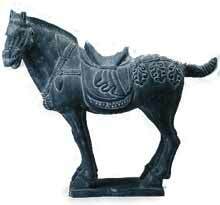 Horse in Tang style. 20th century. 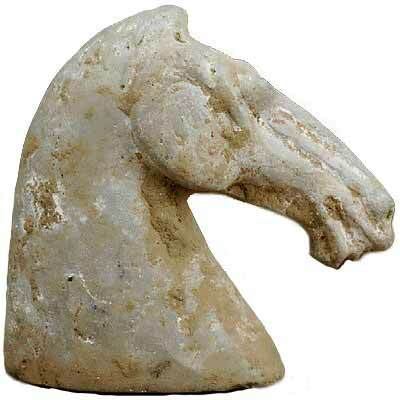 As a visitor to the exhibition at the Tasmanian Museum and Art Gallery, the most obvious thing — apart from the sheer beauty of the pieces on display — is that many of them, particularly those dating from prehistoric days, are so ‘modern’. Some will be familiar for their shapes and colours. It’s a tribute to the genius of those far-ago artisans that their works should be so perfect in form and function that they have continued to be replicated down the centuries. 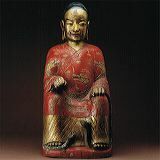 As well, veneration for the achievements of the past plays an honoured role in Chinese artistry. It is seen as art of the living present. 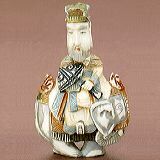 Reproductions have been made throughout the centuries, not as mere copies but in homage to history. This is both a form of admiration for the past and a way of extending the past into the present. Pig. 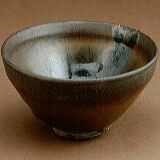 Han Dynasty (206 BC - 220 AD)Earthenware pottery in China has a history dating back some 10,000 years. 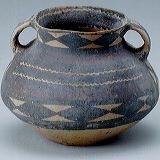 The oldest piece on show is a Neolithic jar, made from Yellow River clay mixed with rough sand and dated somewhere between 7000-1600 BC. Despite its incredible age, it has survived intact. Under the aegis of Peter Hughes, Curator of Decorative Arts, the exhibition at the Tasmanian Museum and Art Gallery in Hobart is also outstanding for its presentation, and for the wealth of notes both in the catalogue and the display boxes.